There are so many wonderful treatments, lotions and potions out there to help our beauty regimes and make us feel gorgeous inside and out. As a trained therapist I see so many wonderful innovations within beauty and can highly recommend brands that I have worked with. However salon brands do come with a price tag which is great for a treat, but beauty really doesn’t have to break the bank! There are so many wonderful natural ingredients and products which can be used to have exactly the same effects; you may already have these ingredients at home. Without expensive packaging and overhead costs, you can make your own beauty products quick and easy. All recipes can be adapted and added to enhance the effects, but at their basic level, will still give you that pampered feeling. So here are a few ideas which I would love to share with you. Feel free to adapt them to your own skin types and needs and let me know how you get on! Remember not all ingredients are suitable for pregnancy and medical conditions, so please check with a doctor first. Delightful Green Tea Body & Face Scrub. Green tea is a well-known antioxidant and great for detoxing. Its benefits are powerful and will leave you feeling thoroughly cleansed. Simply add two green tea bags to boiling water and leave to cool. Place 3-4 heaped table spoons of salt for the body or sugar for the face, into a bowl. Mix 2-3 spoons of the cool tea to the salt/sugar mix. (As its cool it won’t dissolve). For added antioxidant boost, add the tea leaves from the bag to the scrub. 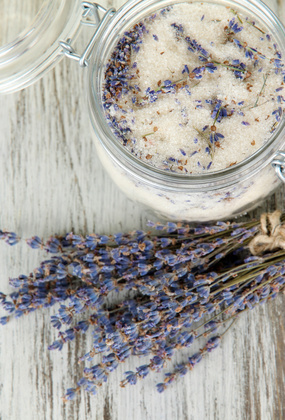 Personalise your scrub with drops of essential oil. Use lavender and tea tree for oily/combination skin. Rose and Neroli for dry skins and chamomile for sensitive skins. Remember salt is naturally courser than sugar, so pick and choose which suits you. Blueberries and raspberries have strong antioxidant properties and are great for any skin type. For a sensitive, normal and dry skin type, mix the crushed berries into natural Greek yoghurt to soothe and moisturise the skin. For combination and oily skins replace yoghurt with honey- this has antiseptic properties which will cleanse the skin. Add essential oils to boost the treatment- lavender, tea tree and citrus oils for oily/ combination skins. For normal to dry skins -rose, Neroli, chamomile or any other which takes your fancy. Coconut and Avocado Hair Oil. This is a real treat for your hair. Coconut oil is well regarded as being a lifesaver for hair. Coconut has natural fatty oils and triglycerides, which are components for healthy hair growth. Avocado is a wonderful ingredient with lightweight oils and nutrients to nourish your hair. Honey is another ingredient to mix with this oil as it is a humectant, which means it keeps in moisture and helps split end. 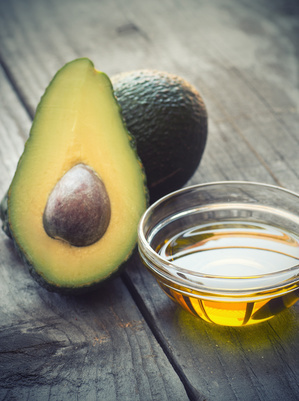 Simply mix the avocado to a smooth paste and add a table spoon of honey to as much oil as you would like for your hair. Add to dry hair and leave for 15 minutes before rinsing and drying. White Tea and Aloe Eye Gel. 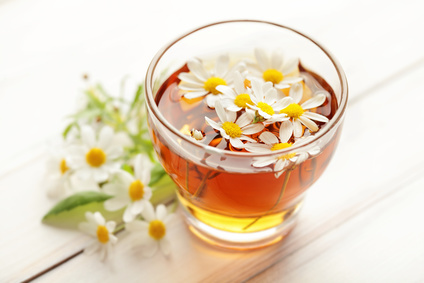 White tea is a rising star which has been proven to carry more antioxidants than green tea. This is a great option for tired eyes and you can just boil two tea bags, leave them in the fridge and apply to the eyes straight away. It’s great for dark circles and puffy eyes. However I love to add pure aloe gel into the mix as this adds extra soothing power. Use an aloe plant if you have one, if not use 100% aloe gel which you can get from ‘Forever Living’ websites. Let two tea bags steep and cool. Mix a couple of teaspoons of the tea into the aloe gel and apply gently under and around the eyes. Herbal Tea and Lavender Toner. Steep two bags of your favourite herbal tea and leave to cool. Add fresh lavender sprigs if possible and leave to infuse. Lavender essential oil can be added or any other oil which suits you. Place into a spritzer bottle, leaving the fresh lavender if you wish, and spritz over the face for a cooling and toning effect. These are only just a few ideas of what nature can offer to your beauty regime. They are all adaptable to your own tastes and preferences and are all inexpensive to produce. I hope this gives you inspiration to experiment and try making your own beauty products. Happy beautifying! I would love to hear from you- For more information and recipes: Get in touch via our FB page.